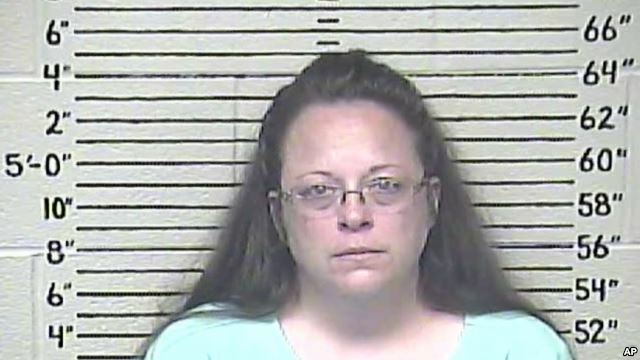 District Judge David Bunning has said that Davis, the Rowan County clerk, will be freed when she agrees to issue the licenses, as her position requires, or she resigns. But Davis has refused to do either. On Tuesday, Republican presidential hopeful Mike Huckabee is planning to hold a rally in support of Davis front of the Carter County Detention Center in Grayson, Kentucky, where Davis is being held. About 300 people gathered in support of Davis Saturday. Her husband addressed the crowd outside the detention center. "She won't bow, I promise you," Joe Davis told the crowd. 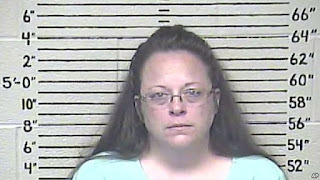 Davis, 49, worked in the Rowan County clerk’s office for 27 years before being elected county clerk last November. Davis’ supporters question whether such licenses are valid. A gay couple, James Yates and William Smith Jr., received a marriage license Friday from a deputy clerk at Davis' office.